Water damage is the #1 reason homeowners need to make an insurance claim – and many of these claims are preventable. To help customers protect their homes, Northbridge Insurance has launched a pilot project that offers customers annual savings of up to $150 on home insurance when they purchase an Alert Labs Home Solution package, consisting of a Flowie water sensor and a Floodie companion sensor. Alert Labs sensors can be installed by homeowners in less than two minutes on municipal water meters – no tools or technical expertise required. They’re now available at a special rate for Northbridge Insurance customers, just in time for spring weather. Designed to detect potentially damaging incidents like leaks, power outages, temperature fluctuations, and floods, Alert Labs sensors send alerts to homeowners on their computer or mobile device in real-time when something goes wrong. Each sensor is equipped with a battery back-up and works using a cellular connection not Wi-Fi, so they’ll continue to work in a power outage – right when they’re needed the most. Alert Labs sensors also allow customers to capture and analyze water consumption, which can lead to important savings when it comes to costly utility bills. How significant are the savings Alert Labs customers stand to gain? “A single toilet leak can cost up to $600 per year in wasted water,” said Alert Labs CEO George Tsintzouras. The pilot project is currently underway, and was launched in collaboration with Northbridge Insurance broker partners that focus on areas in Ontario where the risks of water damage are especially high. Ontario homeowners can visit www.nbins.com/alertlabs to learn how they can help protect their homes from water damage – and save on insurance. About Alert Labs: Alert Labs is an IoT technology company based in Kitchener, Ontario. Alert Labs is building affordable and reliable sensor-networks for residential and commercial property owners. Alert Labs’ simple-to-deploy sensors can be placed on water meters, sump pumps, furnaces, near toilets and other appliances to detect water leaks, floods, power issues, and other events. Customers receive real-time alerts and insightful data analytics via SMS, email, and the Alert Labs app. Visit Alert Labs at www.alertlabs.com. 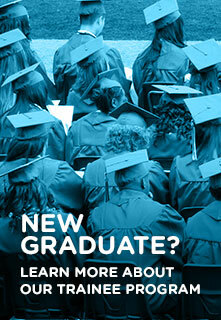 About Northbridge Insurance: Northbridge Insurance is one of Canada’s leading insurance companies. Working with our broker partners, we focus on understanding the needs of our customers and on creating solutions that help make their lives a little easier when it comes to protecting their homes, cars and businesses.  Northbridge Insurance Logo is a trademark of Northbridge Financial Corporation, licensed by Northbridge General Insurance Corporation (insurer of Northbridge Insurance policies).